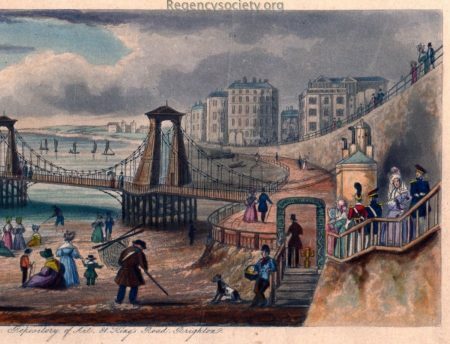 Aquatint engraving by George Hunt after S J E Jones, published by C & R Sickelmore, King’s Road, Brighton c1827. 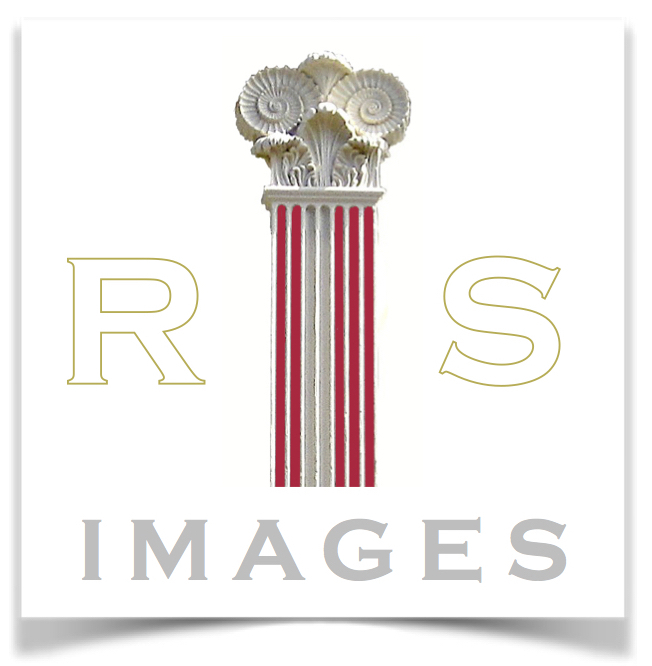 Included in Sickelmore’s publication Select Views of Brighton. 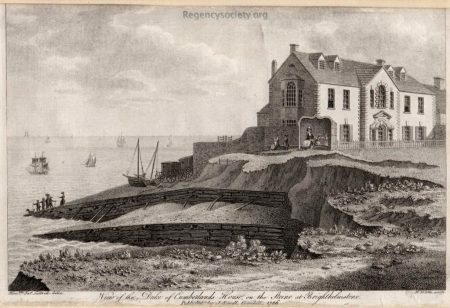 The narrow shed-like structure far left, on the beach, was the pump house which supplied seawater for the public baths run by Dr Awsiter. 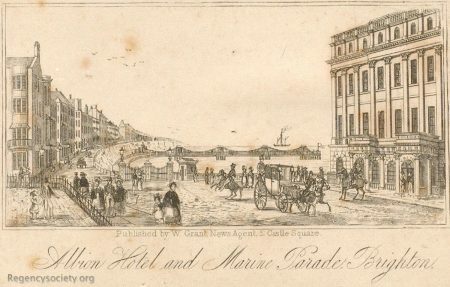 The main building left of centre is the Albion Hotel and the small circular building tucked in to the left of the hotel was Lamprell’s seawater swimming baths. 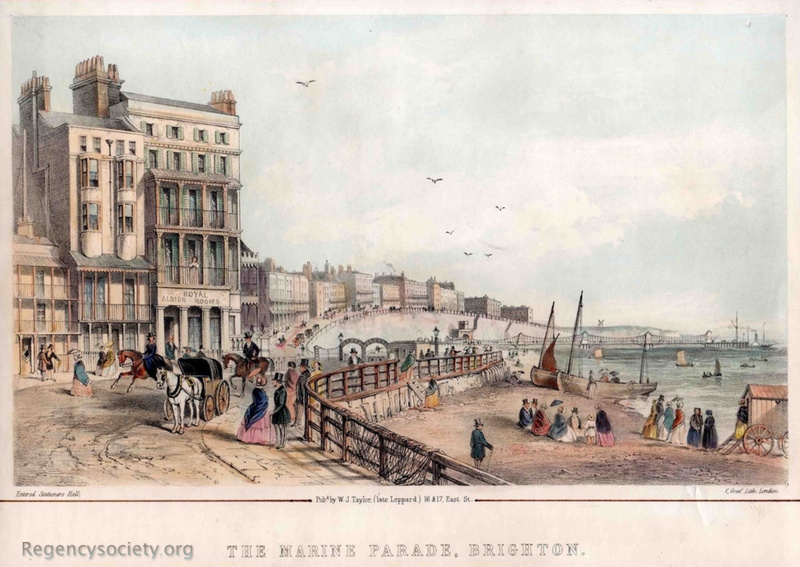 The central building, with writing, was Steine House, occupied by Philips the confectioner. To the right of Philips is the Royal York Hotel with the two full height bay windows. 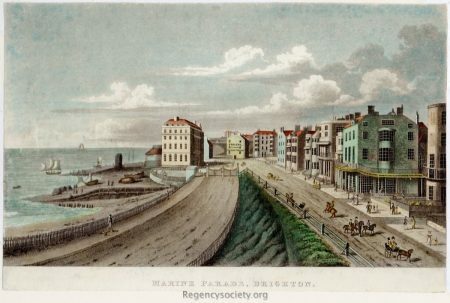 The green building on the right was Tuppen & Walker’s Marine Library, and moving along Marine Parade was German Place Hotel (now named Madeira Place), then Broad Street Boarding House, Charles Street Hotel and the Marine Hotel. 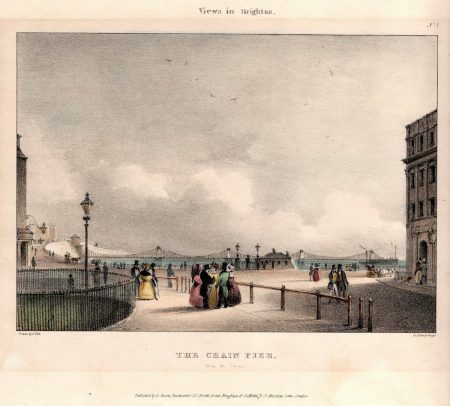 Alongside the Marine Parade, the roadway from the bottom left of the picture leading up to the set of iron gates was the Pier Esplanade leading from the Chain Pier. 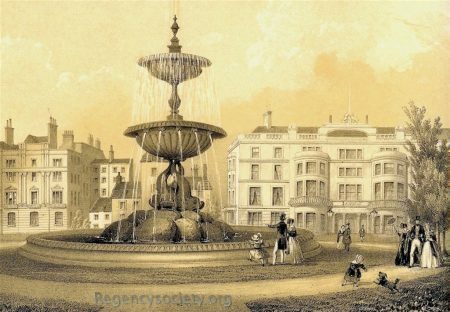 This scene well illustrates the principal occupation of 19th century Brighton which was to accommodate and entertain the rich nobility and gentry. 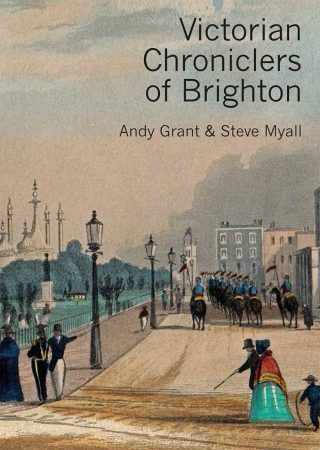 Illustrated in Georgian Brighton by Sue Berry. Phillimore, 2005, p 118. 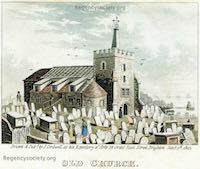 Also illustrated in Old Brighton: A Collection of Prints, Paintings and Drawings by Eileen Hollingdale. George Nobbs Publishing, 1979, p 45. 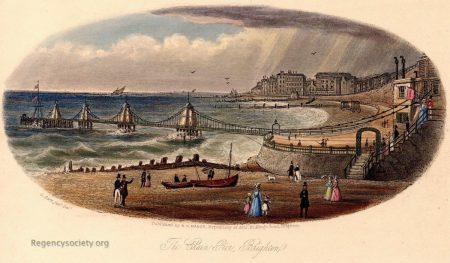 Images of Brighton 1102 and illustrated on page 63.